Some other work I’m engaged on has obliged me to step back and look at how this blog is doing. Here’s what I’ve found. It began sporadically in February 2009, and has been published regularly at approximately weekly intervals since July of that year. At the time of this writing, it contains 282 posts. At a conservative estimate the posts average 700 words in length, which would make a total of nearly 200,000 words or 750 printed pages or 35 typical journal articles. Much of this, it’s true, is made up of quotations from other documents; nevertheless the blog constitutes a substantial source of original information. All the original material has been written by one sole author, me. References for the quoted material are given at the end of each post, and direct hyperlinks have been provided since 2011 from most of the references to the full original sources. Almost all the posts are accompanied by an appropriate image. The declared topics are Natural Translation, Native Translation and Language Brokering. These terms, along with the complementary terms Expert Translation and Professional Translation, are defined in posts within the blog itself. 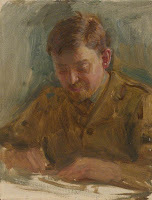 While most of the posts remain focused on the declared topics, there are many, perhaps a quarter, which are not, though they have some connection with translating. Examples of the latter are the posts on fictional translators (e.g. Mr Melas in Conan Doyle’s 'The Greek Interpreter') and the annual ‘Christmas Diversions’, which trace the migration of familiar stories from their first translations into English to their popular cultural adaptations on the British stage (Aladdin, Cinderella, Sleeping Beauty, Nutcracker). The paucity of specialized reviewers who are competent in the designated areas of research. Of the many experts on translation theory, for example, few know anything about translation by children. The time taken by the review and publication process, typically one to two years from submission of a paper or presentation at a conference to its appearance in print. A blogger, on the contrary, can publish a post as soon as it’s ready for reading: wake up with a bright idea in the morning, make it known to the world for evaluation and suggestions by evening. Time is crucial for the present author, who has reached an advanced age at which his survival for another two years is statistically somewhat doubtful even in Spain, whose population enjoys exceptional longevity. In addition, he’s long since passed the stage at which he needs to further his career by publications that will be credited by university or fund-granting committees. He’s therefore completely free to choose how to publish. On the other hand, let’s admit that blog publication has serious drawbacks. 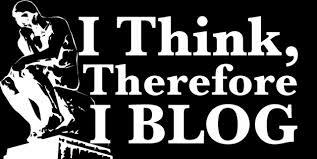 The worst is that blogs are not taken seriously by the academic community, which is still stuck in an earlier model. The essential drawbacks of the current system of scientific publishing are all connected to the particular way that peer review is used to evaluate papers. In particular, the current system suffers from a lack of quality and transparency of the peer review process, a lack of availability of evaluative information about papers to the public, and excessive costs incurred by a system, in which private publishers are the administrators of peer review. These problems can all be addressed by open post-publication peer review (OPR). Together with open access (OA), which is generally accepted as desirable, OPR will revolutionize scientific publishing. Another is assessing the readership. There have been over 143,000 Unprofessional Translation 'pageviews', where a 'page' is roughly equivalent to a post. It currently has 164 ‘Followers’, i.e. people who have registered as regular readers. Of course this doesn’t mean that that they all read every post. On the other hand, many of the Comments, and of the emails that the blog’s author receives directly, come from people who are not Followers. For some of the Followers, profiles are available, but it's not clear from most of the profiles whether they have a serious interest in the topics of the blog. The posts that have received the most attention from commenters are not those I would have wished. For example, the posts on the meetings between Hitler, Franco and Pétain in 1940, where the interpreters were in fact Professional Experts. The Comments also attract undesirables, particularly the people who use them as a pretext for advertising their own translation services. Finally, there is the internal organization of this particular blog and of blogs in general. The order of the posts is strictly chronological. This makes it complicated to locate and follow threads about a particular topic. Users cannot be expected to trace them themselves through the 280 posts. Fortunately there are some aids built into Blogger. Labels and tags can be added to posts and posts can be grouped by them. There is also the Search box on the right-hand side of each page, which enables more specific searching by keywords. Nonetheless, those search tools throw the onus back on readers to assemble the posts meaningfully themselves, and for that they need quite expert knowledge of the tags and keywords used. The work I’m doing is intended to put better order into some of the posts. Nataly Kelly and Jost Zetzsche. Found in Translation: How Language Shapes Our Lives and Transforms the World. Foreword by David Crystal. New York: Penguin-Perigree, 2012. There was a review of it on this blog: enter zetzsche in the Search box. Nikolaus Kriegeskorte. An emerging consensus for open evaluation: 18 visions for the future of scientific publishing. The Future of Scientific Publication: ideas for an open, transparent, independent system, October 29, 2012. The post is here. The latest issue of the Young Interpreters Newsletter has arrived from the Hampshire Ethnic Minority and Traveller Achievement Service (EMTAS). Besides the usual enthusiastic news of the movement's progress in many schools in multilingual Britain, there's an item that stands apart. 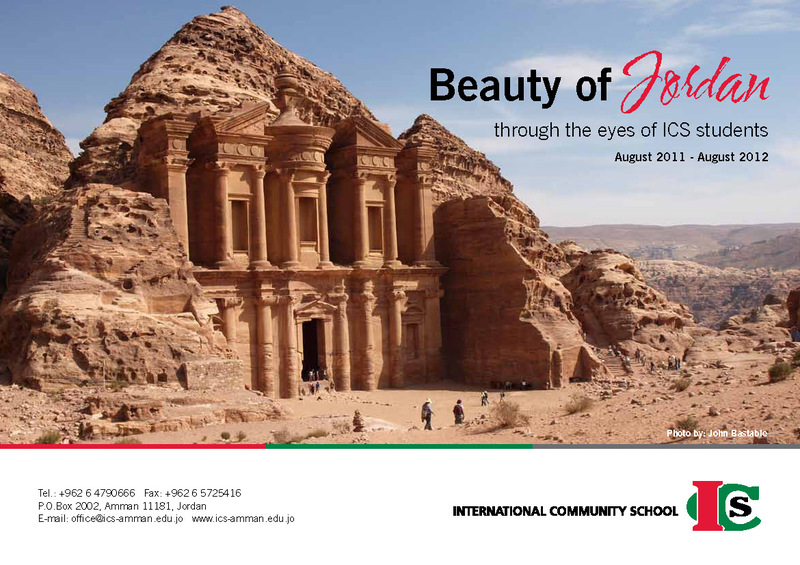 It's the one about the International Community School (ICS) in Amman, Jordan. News about Jordan always interests me particularly, because I taught there for a while and I'm eternally grateful to the late Muhammad Hasan Ibrahim, able and warm-hearted head of the translation programme at the University of Jordan, for inviting me. The friendliness of native Jordanians, who take great pride in their hospitality. I cherish memories of my colleagues, some of them Expert Translators, like Henry Jibran Matar, a displaced headmaster from a secondary school in Bethlehem who had become a translator for the Royal Jordanian Scientific Society; and of my students, all Native Translators and most of them teachers or travel agents (it was a graduate programme). Its richness in archeological and historical sites, the star of them being Petra, "A rose-red city half as old as time." Go and see it before it's completely buried again – under tourists. When I visited it in the 80s there were still Bedouin living among the ruins and only two hotels for visitors. Today the Bedouin have been relocated and there are more than 40 hotels. Amman is a great city for expatriates and their families. While expatriate can mean any person living outside their native country, a restricted meaning is 'a person living and working more or less temporarily in a foreign country.' Such people, along with their children, are an important source of bilinguals. Many of them survive inside a bubble of their own nationality, but many others learn the local languages assiduously for work or for socialising. When there are enough of them concentrated in a city, they usually open schools for their children so that the latter can be educated in an amalgam of the education systems in their own countries and those of the host countries, including of course the languages. There are several such schools in Amman and ICS is one of them. It was founded in the 50s for children of British military personnel stationed there, but it’s changed with the times. Today it’s a cosmopolitan melting pot providing British style education from Nursery to Year 13. It has 600 pupils who represent almost 50 different nationalities and speak over 15 languages. It usually happens with such schools that they also attract the local elite to send their children there. (The schools tend to be expensive.) This is partly because of the quality of the education and partly for the snob value of association with equally elite foreigners. But whatever the motivation, the children's cultures rub off on one another and they pick up at least a smattering of each other's languages. In the case of ICS, though, languages are taken seriously: "A choice of Additional English, Arabic or French is introduced as part of the curriculum from Year 1 onwards." "We successfully trained 9 interpreters. These pupils have embraced the scheme wholeheartedly and have been extremely helpful in our ventures. They have helped host EAL parent coffee mornings, translated for teachers and pupils, been involved in a leaflet for our infant transition, helped at our new parents evening and are truly responsible young people of whom we are very proud. Sadly our year 6 pupils are moving on and we have therefore trained up next year’s group, with our current interpreters helping at the training sessions." As their coordinator comments, "Developing the Young Interpreter Scheme is a great way to celebrate our children's diversity and the variety of languages they speak, as well as to strengthen our school's inclusive nature." Once again we see how translating isn't only a product of education; it aids education. International Comunity School, Amman. Wikipedia, click here. Astrid Gouwy and Liz Perry (eds.). Young Interpreter Newsletter 10. Basingstoke, UK: Hampshire Ethnic Minority and Traveller Achievement Service (EMTAS), July 2013. For information and regular updates: http://www3.hants.gov.uk/education/ema/ema-schools/ema-good-practice/ema-hyis.htm. The line "Rose-red city..." comes from John Burgon's poem Petra, 1845. Although Petra had been rediscovered for Westerners by Burckhardt in 1821, Burgon never actually saw it. Theory models always simplify. They do this so that we can see the wood for the trees, but in so doing they discard important details and nuances. So the model that is illustrated strikingly by the image at the head of the preceding post is an over-generalisation. Most obviously, it shows the interpreter listening on one side and speaking on the other, which totally ignores sign language. Hence the alternative, equally over-simplified model shown above. For the moment, however, let's focus on some less-known variants in the media employed. First, written input instead of voice input. This affects interpreters at all levels, from Expert to Natural (once they can read of course). I've told elsewhere the story of how one of my earliest encounters with Natural Translation was overhearing a young girl in a post office in Ottawa interpreting an English official form into Portuguese for her father. This hybrid of written translating and interpreting has a traditional name, sight translation, and it's a common exercise in translator training schools. It's good practice these days for dictating translations, whether to a secretary or to a computer. At a more advanced level, Expert Court Interpreters, for example, are often handed documents in court and required to give a verbal translation of them on the spot. What's less apparent is that there's a good deal of sight translation in conference interpreting. It happens because many speakers are in fact reading aloud from a prepared text and make a copy of it available to the interpreters, sometimes in advance. If the paper is very technical or the presenter has poor elocution or the acoustics are bad, it may be easier to interpret from the written text than by listening. An extreme case of 'sight translation' in conference interpreting is when the speaker provides a prepared translation and the interpreter just has to read it out. In Canada, ministers' speeches are usually translated in advance for fast distribution to the press, etc. When a minister was scheduled for a meeting where I was to interpret, I used to hang around the entrance to the venue to catch his or her entourage as they entered, and – if I was lucky – grab a copy of the prepared official translation from one the aides. My particular interest is in visually interpreting the public reading of Scripture, because there is no sign language Bible to read from (a Spanish interpreter can pick up her Spanish Bible and read). Why listen while reading? For one thing, to keep in step with the speaker and not have the interpreter race ahead, which would be disconcerting for the audience. In any case, sight interpreting is difficult, because it requires attention to two input channels as well as a third output channel. It's not for Natural Interpreters, and as Andrew says, "most church interpreters are unprofessional." Even in Expert Conference Interpreting, if there are two interpreters in the booth then the one not currently interpreting should keep an ear on the one who is and another ear on the speaker in order to give the working colleague a nudge in the event that the latter gets out of step. At the UN, the written translation provided for speakers in a non-official language is read out by a regular UN interpreter. But the UN interpreter can't understand and follow the speaker, so who's to keep speaker and interpreter in step? That task is performed by someone who does understand the speaker's language, usually a member of his or her delegation, and does so by pointing to the segment of the translation that corresponds to what the speaker is saying at the moment. For which reason, the person is known jokingly as the finger man. Mail Foreign Service. 'I just can't take it any more'... Gaddafi's translator 'collapsed with exhaustion' during his UN rant. Mail Online, 25 September 2009 . Read more here. The description of the United Nations exception for heads of state and of the finger man was given to my students by Remco Kraft, an interpreter trainer, when I visited the UN in New York with them in 1987, and no doubt represents actual practice. It differs from the UN regulations cited in the Wikipedia article 'Official languages of the United Nations', but only slightly. Andrew Owen will be giving a paper entitled Interpreting the public reading of Scripture at the European Society for Translation Studies conference in Germersheim, Germany, Panel 19 (Translation and Interpreting in religious settings), on August 29 or 30. The conference programme is here.